If you are looking for automotive locksmith services, look no further than the professionals at Bostons Locksmith. 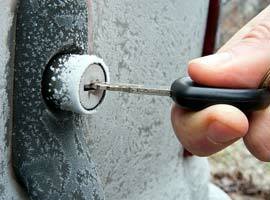 We offer complete auto locksmith services for the Boston area. We know what it feels like to lose your only set of keys to your car. For this reason, we offer to make spare keys for all make and models of vehicles domestic and foreign. We can make any type of car key you need including chipped keys and transponder keys. This includes replacing keys that have been broken or jammed in the ignition or door lock. Everyone has locked themselves out of their vehicle at one time or another, it’s nothing that should embarrass you. It’s also no cause for alarm because we will have you back in your car and safe in no time. No need to stress, we will be there to help. Even if you happen to lock your keys in the trunk, we can help out there as well. With Bostons Locksmith on your cell phone speed dial, you will never be stranded. If you are seeking an automotive locksmith, you need to call the best to get the best. There could be a time when you find yourself locked out of your home. Of course,k when such a tragic thing happens, it won’t happen during the day on a weekday, it will happen late one weekend night. When you get locked out of your home, even late at night on a weekend, give us a call and we can help. We offer complete locksmith services and we will figure out a way to get you into your house. We are locksmith experts who are highly skilled and maintain years of experience in the field. We are fully licensed, bonded and insured and are available in Boston and the surrounding areas. All you need to do is give us a call. Imagine being stuck behind the wheel of your vehicle because the keys are jammed in the ignition. It’s bad enough when you have to do something like fix a flat or get gas because you ran out, but with a jammed key, you just don’t know what to do. Well, you can start by giving Bostons Locksmith a call. Keys are made from metal, but they can still break off or otherwise get stuck in your ignition. If this does happen to you, the first rule is to remain calm. Getting angry isn’t going to solve your problem. If the keys are stuck in the ignition, do not use force, you will only cause more damage or break the key off. What starts off as an easy and inexpensive fix can become more expensive. Don’t be ashamed that this happened to you, we get calls every day from people who have jammed keys in their ignition or who have broken their key off in the ignition. It’s no big deal, really. Car safety is evolving on a constant basis. New and improved safety features are essential to thwarting car thieves. Of course, heightened safety means that losing a key to your car is more annoying than ever because of the cost and complications of replacing it. Here is the deal; we like to keep things simple, even when replacing transponder keys. Regardless of the type of safety system your car has, our expert technicians are trained and equipped to get it fixed. Transponder keys have chips or sensors that emit a coded signal or get a specific coded signal. Your car, truck or SUV has a matching transmitter or receiver which will only reply to your key. Without the right code, you can get locked out of your car, maybe the steering wheel will stay locked or the engine will become powerless. This is what makes transponder keys so important. Laser cut keys are exclusively cut keys that have become quite common for newer vehicles. And though the name suggests something from a 1980s future movie, laser cut keys are becoming mainstream. Laser cut keys can be identified by the way they look. Typical car keys have notches cut on the sides, laser cut keys have a winding groove cut into the center of the key. These keys have slits tooled on both sides, which allows them to work no matter which way you place them into the lock or ignition. This type of key isn’t just for show, they add an extra blanket of security. To replace such a key, you need to contact the manufacturer or call a locksmith in Boston with the knowledge and equipment to do so. If you need a laser cut key replaced, give us a call. High-security locks are definitely something worth serious consideration for your Boston business or private residence. There are several benefits you get with high-security locks that you don’t with standard locks. Most standard locks are pin tumbler locks, which have wheels inside of a lock cylinder with pins. The key is then cut to match the pins in the lock. The more pins in the lock, the more cuts you will need in the key. Obviously, the fewer pins, the fewer cuts you need in the key. A lock with fewer pins is easier to open because a bump key can more easily fit in the lock cylinder and it takes less skill to pick such a lock. Most standard locks have four or five pins while high-security locks have six or seven pins. But this isn’t the only reason to consider them. A thief might skip trying to break into a place with high-security locks for psychological reasons. They might think if a business or home has high-security locks, they surely have other security systems in place. So high-security locks offer a psychological deterrence. Getting into a vehicle with damaged locks can be a difficult task. And it will get even more difficult as time passes unless you get the locks fixed. The professionals at Bostons Locksmith have the knowledge and the experience it takes to help you. Whether you need a new key for your car lock or need to have the lock repaired, we are there to help. It is always better to take preventative steps when considering door security instead of finding yourself in a regrettable situation. We are talking about having deadbolt locks installed in your business or private residence. A powerful and simple step of having deadbolt locks installed is beneficial. First and foremost, deadlocks are a permanent fixture to your door, which means that don’t retract or move from their original position once opened. Deadbolts help doors remain strong and resist any type of forceful entry. Without a key, these locks simply cannot be opened. You can use deadbolt locks as a supplementary feature along with your spring lock to provide added door security. There are several types of deadbolt lock, you can choose which one is right for you depending on your needs. For example, there are single and double-cylinder locks, exit only locks and push-button locks. To ensure you get the maximum benefits of a deadbolt lock, it needs to be properly installed. Give us a call and we can assist in having your deadbolt locks installed. Peepholes are small holes in doors that allow you to look through to the other side. They give you the ability to see who is at your door and grants you control of who has access to your home. You might be thinking about the peepholes in the past. The ones that gave you a very skewed and limited view of the front porch. Modern peepholes have changed. Modern peepholes provide an excellent view of what is happening on your front porch and some can even be incorporated with security cameras. A master key system is a locking system in which one key can unlock multiple locks that are all keyed differently. Basically, each lock in the system has its own key that can unlock only that particular lock, but there is a master key that unlocks all the locks in the system. Say you own an apartment complex with 10 units. Each apartment will have a different lock and key that fits only that particular unit. You have a master key that fits all 10 units. Master locks are also used in office buildings that have multiple rooms with different locks and keys. In this type of scenario, supervisors might have a master key that fits all of the offices. This simply means that people belonging to a certain office will have a key that fits that office. If you need a master key system or any other expert lock services, Locksmiths Boston is here to help. In times of danger, having quick exit points from a building is essential to creating a safe environment. A panic or push bar is a door locking device consisting of a spring-loaded metal bar fixed horizontally on the inside of an exit door. When this bar is pushed, the latch is immediately released and the door then opens outward. The push bar allows a door to be opened very quickly and easily. Without such a device, panicked crowds may find it difficult escaping a dangerous situation. Panic bars can be used on single or double doors made from aluminum, wood and even glass. Panic bars are required by law on all fire and emergency doors. For more information about push and panic bars, give us a call. For years, locksmiths have used bump keys to help people get into their homes when they have been locked out. Now the internet is making is very easy for anybody to get a bump key. Lock bumping is a technique of lock picking for opening pin and tumbler locks using a specially crafted bump key. Researchers estimate that over 95 percent of conventional business and home locks are vulnerable to a bump key break in. While lockpicking is often used to break into homes and businesses, it is a skill that takes time to learn, practice and perfect. A bump key can be used with very little practice and requires no skills and still enjoys a very high rate of success. Fortunately for you, there are ways in which you can combat bump keys. 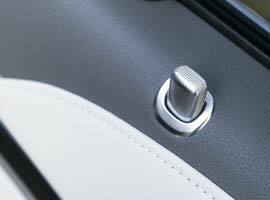 One such way is by having bump-proof keyless locks installed. If you have a safe and it takes a few times of trying the combination before it opens, you could be very close to a lock-out situation. Before that happens, give Bostons Locksmith a call and let our experienced safe and vault technician diagnose and fix the problem for you.